Hey, the perfect name!! And what a great shot for the day! Terrific capture for the day!! Hope you have a great weekend!! Allow me my ignorance, but anything to do with Nasa? I appreciate I'm now the laughing stock of OK. Impressive - but I'd find it a bit overwhelming if I had to go there often. Nothing to do with NASA Leedslass... NSA maybe, but not NASA. Thanks YHH - you make me feel so much more comfortable (not). 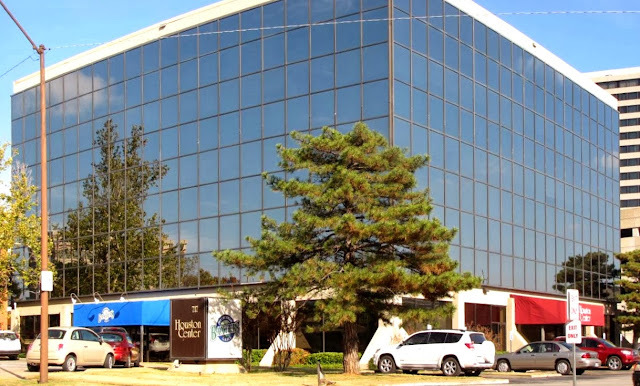 NASA has a center in Houston but this building is named for being on Houston street in Tulsa. So it is the "Houston Center", right? It is an honest mistake and we still love you. Wouldnt kid ya if we didnt like ya!